​With your support, SAHJA can continue to support local equestrians through clinics and shows, and encourage wider participation in the sport. Your sponsorship of SAHJA will promote your brand, increase awareness of your business within the community, engage with a wide demographic of potential customers, and create a positive impression of your business. 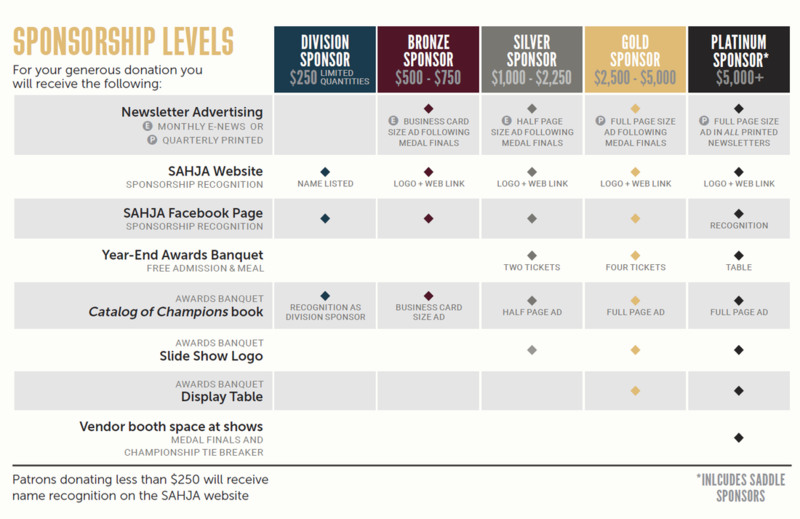 We hope you will consider the benefits of sponsorship with SAHJA, at whatever level you may choose. How would you like to have your sponsorship name or business listed?